Ukraine signed an agreement to buy unmanned aerial vehicles (UAVs) from Turkey, Anadolu Agency cited Ukrainian president as announcing on Saturday. 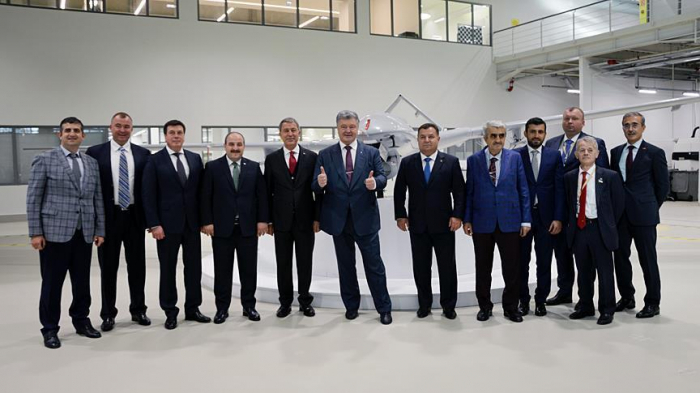 According to the information gathered by Anadolu Agency correspondent, Turkish UAV manufacturer Baykar will produce six Bayraktar TB2 and deliver them to Ukraine in a year. Along with the UAVs, three ground control station systems and equipment will also be delivered. Bayraktar TB2 has been used by the Turkish Armed Forces and Turkey's Security Directorate since 2015. The TB2 armed UAV, was developed for tactical reconnaissance and surveillance missions and it can also carry ammo, do assaults, and has laser target acquisition. Currently, Turkish Armed Forces have a fleet of 75 Bayraktar TB2 platforms. The purchase agreement between Ukraine and Turkey is the second export achievement of the TB2. During an international defense exhibition in March 2018, Qatar also signed an agreement to buy six Bayraktar TB2 armed UAVs from Turkey.